Stag Bar + Kitchen dates back to 1908 here on the Balboa Peninsula. It is located at McFadden Square, just steps from the Newport Pier. Inside are two super long ornate wooden bars, and, if you look up at the pictures from the early 1900s, you will recognize that it is all still here–right down to the gun rack and two stag heads mounted on the wall. 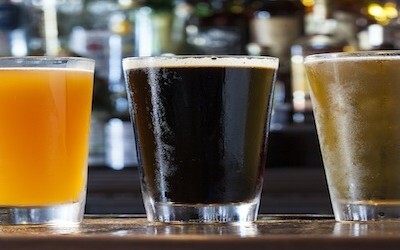 The bar carries more than 75 brands of whiskey, including many small-batch craft varieties. With the widest selection of whiskey on the Peninsula, there is bound to be something to enjoy. One of my favorite drinks is the Stag Bar Old Fashioned. It is made with James E. Pepper Rye Whiskey, a smidge of sugar and a dash of R&D Cherry Apple Bitters. The whiskey has notes of toffee, chocolate, oak and vanilla, so what’s not to love?! We don’t usually go to bars for dinner, but there’s a new seaside lounge that will soon become as known for its fun bar food as it is for being one of the oldest taverns in town. 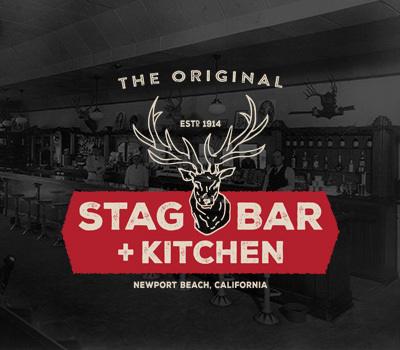 Stag Bar + Kitchen (formerly The District Lounge) near the Newport Pier dates back more than a century, and has been revamped and renamed The Stag Bar, it’s original moniker. 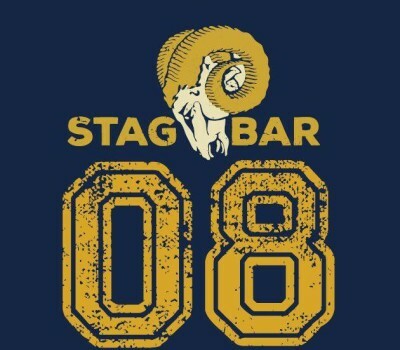 LA Rams fans can celebrate the team’s return with a welcome back Rams party and charity fundraiser at Stag Bar + Kitchen on Tuesday, August 2 from 5:30 to 8:30 p.m. The event will host special guest appearances by former s Rams players, including defensive back LeRoy Irvin (1980-1989), who holds the record for most punt return yards in a single game (207), and barefoot placekicker Mike Lansford (1982-1990), who led the league with 51 extra points. Irvin will be the evening’s guest bartender, serving up featured drinks including the Horns Up Ram-a-rita, of which 100 percent of sales will benefit local charity, Give Cancer the Bird! All food sales will also be donated to the charity. In addition to the former players, former Rams cheerleaders will also be in attendance. Craft cocktails are hot, and these new drinking spots with expert mixologists are leading the trend. The cocktail renaissance has taken hold, but we’ve given that a local twist. Steeped in history, this spot dates back to 1908 here on the Balboa Peninsula. It is located at McFadden Square, just steps from the Newport Pier. Inside are two super long ornate wooden bars and if you look up at the pictures from the early 1900’s you will recognize that it is all still here–right down to the gun rack and two stag heads mounted on the wall. The bar and restaurant open at 8:00am with cocktails and breakfast available right out of the gate. The bar carries over 75 brands of whiskey including many small batch craft varieties. With the widest selection of whiskey on the Peninsula, there is bound to be something to enjoy on St. Pat’s Day. 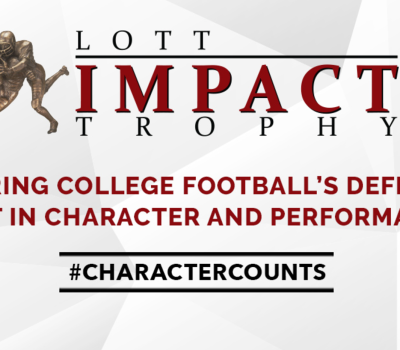 The Awards Event Honors College Football’s Defensive Best in Character and PerformanceOrange County’s oldest bar, Stag Bar + Kitchen in Newport Beach, is set to host Lott IMPACT Trophy pre-awards brunch, Sunday, December 11 at 10:00am. Hosted by FOX Sports analyst Joel Klatt, the main event will honor college football’s defensive best in character and performance. This year’s finalist include Alabama defensive lineman, Jonathan Allen, USC cornerback, Adoree’ Jackson, Michigan linebacker, Jabrill Peppers, and Air Force safety, Weston Steelhammer. Each of the finalists along with their families will gather early Sunday morning for group photos in front of the Ronnie Lott IMPACT Trophy mural, directly followed by a pre-awards brunch at the adjacent Stag Bar + Kitchen. NBC Sports will be broadcasting live inside the Stag Bar with coverage of the morning festivities. Stag Bar + Kitchen in Newport Beach was packed Thursday night as Orange County’s oldest bar hosted its annual ugly holiday sweater contest and toy drive. Each guest who donated a new unwrapped toy received a new smartphone protective case by Irvine mobile electronics accessory maker Incipio. The toys — organizers said more than 500 were collected at the event — will be distributed by Second Harvest Food Bank of Orange County to needy children in time for Christmas. The charity event raised a record amount of toys which will end up in the hands of needy children via Second Harvest Food Bank of Orange County. 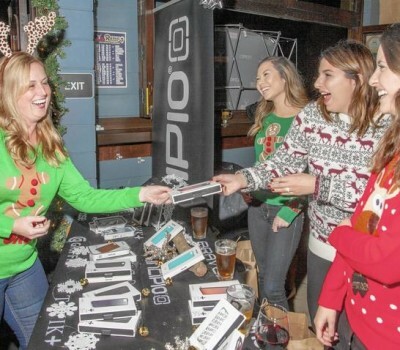 Orange County’s oldest bar, Stag Bar + Kitchen in Newport Beach, last night hosted its annual Ugly Sweater Christmas Party and Incipio Toys for Tech drive. 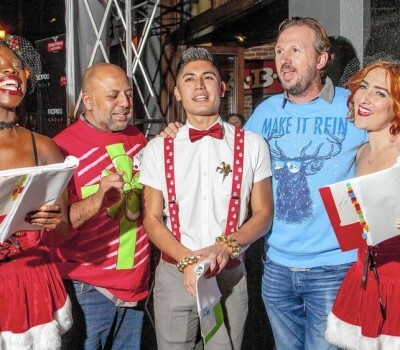 Hundreds of event attendees packed the bar donning colorful Christmas sweaters and festive holiday attire officially kicking off the Christmas giving season. Each guest who donated a new unwrapped toy received a new smartphone protective case by Irvine-based mobile electronics accessory maker, Incipio. The toys are distributed by Second Harvest Food Bank of Orange County to needy children in time for Christmas. In total, a record amount of toys were received with over 500 items. The toys will end up in the hands of needy children via local charitable organization and event charity partner, SHFB of OC. Football fans excited about the return of the NFL’s Rams to Los Angeles celebrated Tuesday evening at the Stag Bar + Kitchen in Newport Beach with a welcome-back party that also served as a fundraiser for a cancer charity. 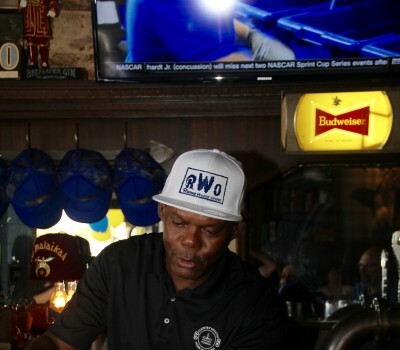 Former L.A. Rams defensive back LeRoy Irvin, who played from 1980 to 1989, served drinks as guest bartender. 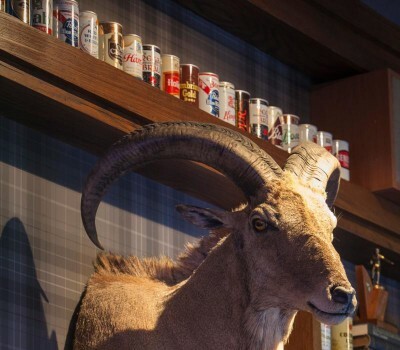 Rams fever is back and fans in Orange County are celebrating the legendary NFL team’s grand return at Stag Bar + Kitchen in Newport Beach, Tuesday, August 2 from 5:30pm-8:00pm. The event will host special guest appearances by former Los Angeles Rams players, including defensive back LeRoy Irvin (1980-1989) who holds the record for most punt return yards in a single game (207), and barefoot placekicker Mike Lansford (1982-1990), who led the league with 51 extra points. Irvin will be the evening’s guest bartender, serving up featured drinks including the Horns Up Ram-a-rita, of which 100% of sales will benefit local charity, Give Cancer the Bird! Newport Beach, CA (July 25, 2016)— Rams fever is back in SoCal and fans in Orange County are celebrating the legendary NFL team’s grand return with a welcome back Rams party and charity fundraiser at Stag Bar + Kitchen in Newport Beach, Tuesday, August 2 from 5:30pm-8:00pm. The event will host special guest appearances by former Los Angeles Rams players, including defensive back LeRoy Irvin (1980-1989) who holds the record for most punt return yards in a single game (207), and barefoot placekicker Mike Lansford (1982-1990), who led the league with 51 extra points. Irvin will be the evening’s guest bartender, serving up featured drinks including the Horns Up Ram-a-rita, of which 100% of sales will benefit local charity, Give Cancer the Bird! All food sales will also be donated to the charity. In addition to the former players, former Rams cheerleaders will also be in attendance. 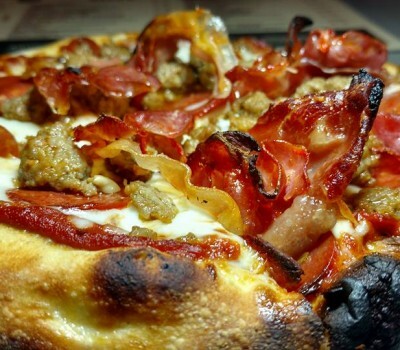 Last week I wrote about the pizzas at Stag Bar + Kitchen on Newport Beach’s Balboa Peninsula. If you haven’t been there, you must go. It’s a pretty cool bar – with darts and pool tables – that was recently revamped and expanded with the introduction of a scratch kitchen overseen by chefs Jeff Moore and Joseph Havlik. 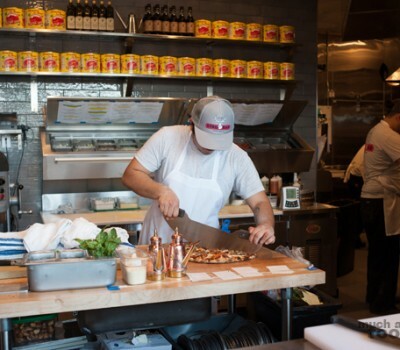 The team behind Dory Deli recently took over and relaunched the historic Stag Bar, just around the corner, cannibalizing the old Stag Liquor Store and turning it into a small dining room and pizza kitchen with chefs Jeff Moore and Joseph Havlik at the helm. The pizzas are superb, made with fresh ingredients that suggest the chefs know their way around the local farmers’ markets. 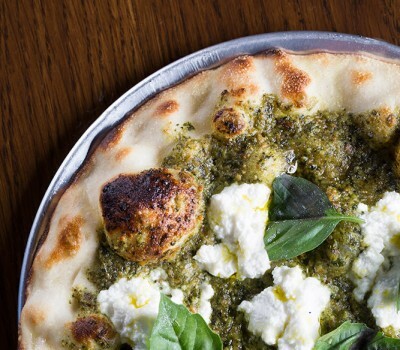 They originally tried making their own fresh mozzarella in-house, which didn’t quite work but illustrates their commitment to taking pizza to another level. If you’ve been to the revamped Stag Bar + Kitchen (stagbar.com), you know the iconic spot (it opened in 1908) is now stocked with gourmet grub to pair with your pool game and whiskey. 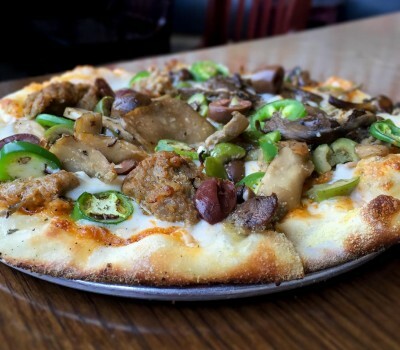 Yes, Executive Chef Jeff Moore is cooking up everything from meatballs to pizzas, and we’re wild for it all. 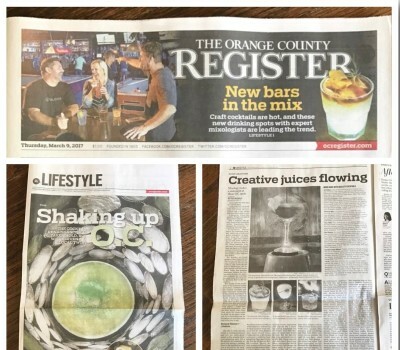 How many places in Orange County can boast being more than 100 years old? How about 108 years old? 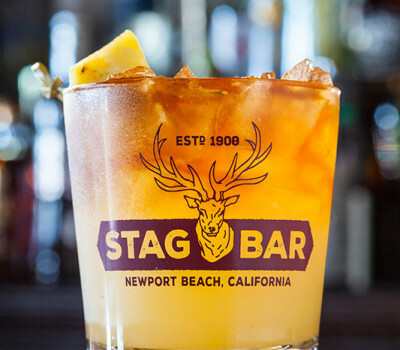 The iconic Stag Bar in Newport Beach can hold that tune and with its reopening at the end of 2015, it is continuing to barrel through the years and serve up the community with enthusiasm. 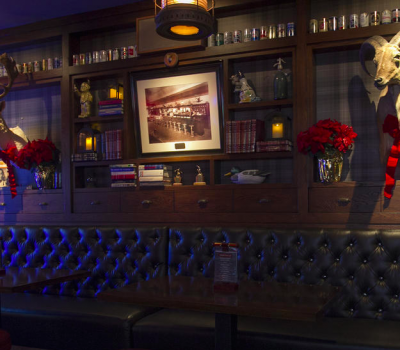 By his own estimate, Mario Marovic has sunk over $1 million into refurbishing The Stag Bar + Kitchen in Newport Beach. But it hasn’t been to convert a funky old watering hole and disreputable rooming house into a trendy new age boite with hanging planters, kale-based salads and a coppery espresso machine on the back bar like a scaled-down cathedral cupola. Mario Marovic is an enthusiastic guy. 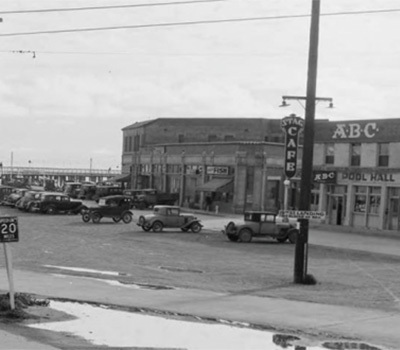 And who wouldn’t be if they owned one of the most historic drinking spots in all of O.C.? The Stag Bar + Kitchen opened for business late last year, and it hasn’t looked this good in more than a century. 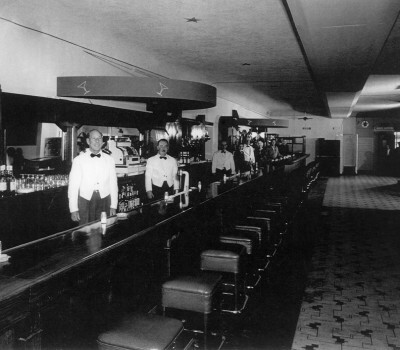 Stag Bar has been around for a very very long time. Today it officially reopens as Stag Bar + Kitchen. What makes the + Kitchen part? That would be longtime Orange County Chef Jeff Moore. Newport Beach’s iconic Stag Bar has returned bigger and better than ever, including a new kitchen and dining area. The venue reopened December 30 following several private events and charity fundraisers for local charities. 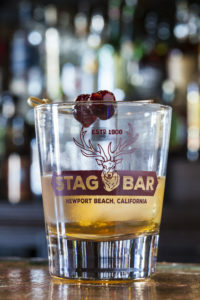 The District Lounge near the Newport Pier served its final cocktail last month, but don’t worry—the historic watering hole that dates back more than a century has been revamped and renamed The Stag Bar, it’s original name. Wanna know what history tastes like? 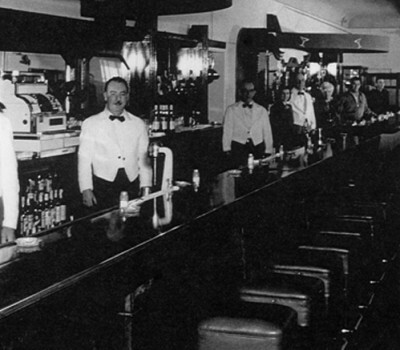 Grab a drink at one of the oldest bars in Southern California. 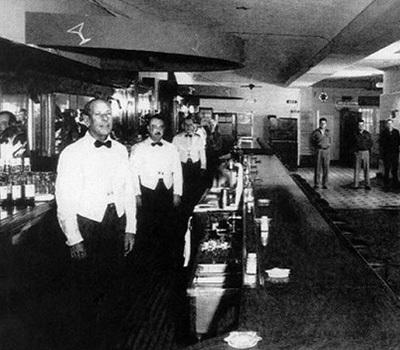 Built in 1908 and opened officially as a bar six years later, The Stag Bar has since seen many transformations. 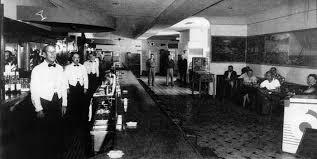 During the prohibition era, the establishment was home to rumored illicit operations, and later remodeled as an art deco martini bar. 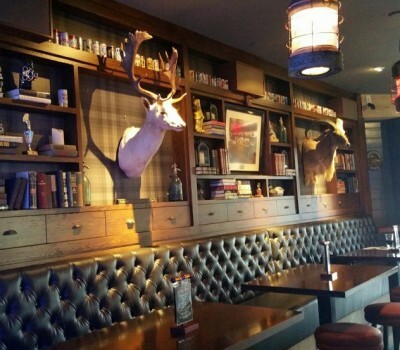 Just this month, The Stag Bar reopened their doors with a revamped look and menu. If the walls at the Stag Bar could talk, owner Mario Marovic believes they’d have a fair share of stories. 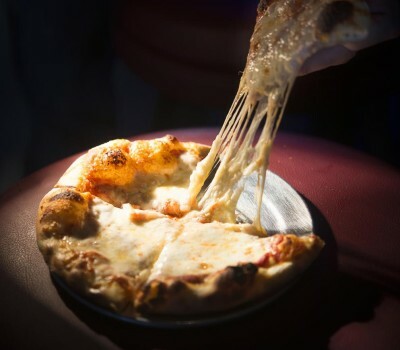 A 100-year-old bar on the Balboa Peninsula will soon open its kitchen to those looking for a late night slice of pizza. 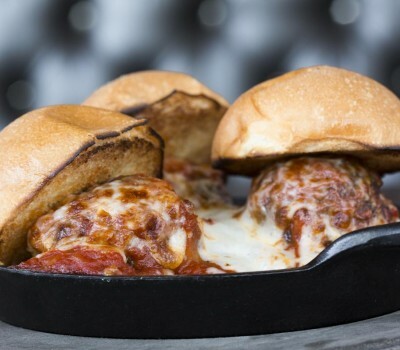 The Stag Bar + Kitchen, 121 McFadden Place, will hold a grand opening Dec. 30 to debut a new menu with made-from-scratch pizza, wings, meatball sliders and salads with the opening of its kitchen. Cocktail afficionados have something new to be excited about this December—Stag Bar in Newport has announced its reopening! 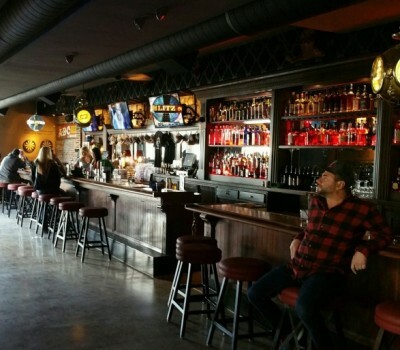 Previously known as The District Lounge, the iconic tavern has been one of the most popular bars in the area for over a century, making it one of the oldest drinking establishments in southern California. Established in 1914 at MacFadden Square, the Stag Bar is one of Newport Beach’s oldest bar, and is beloved by locals and visitors alike. 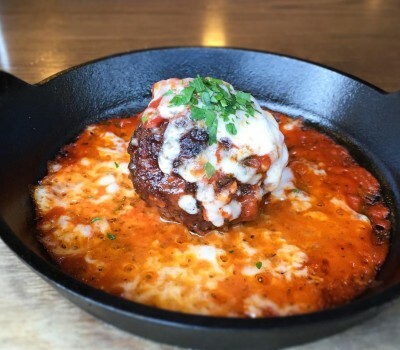 The iconic Balboa peninsula establishment had reinvented itself with new kitchen serving up New American dishes. 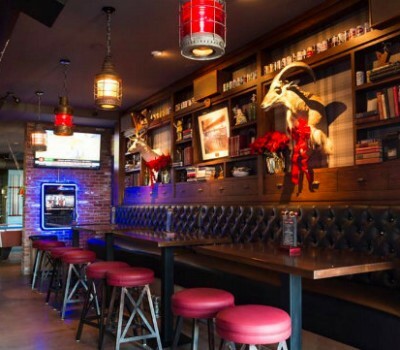 The Stag Bar in Newport Beach, is pleased to announce its reopening in December 2015. 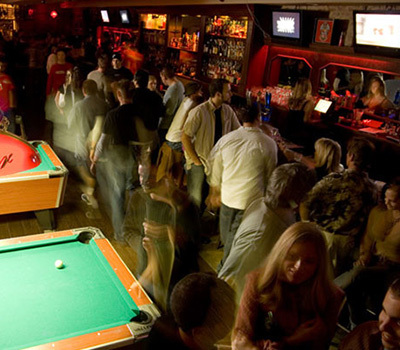 Renamed The District Lounge in 2006, the iconic tavern has been one of the most popular bars in the area for over a century, making it one of the oldest drinking establishments in southern California. You can be among the first to see the return of the historic Stag Bar + Kitchen in Newport Beach by attending a preview night and fundraiser on Wednesday, Nov. 18 at 6 p.m. And, you’ll also be helping to build a new nature preschool! The Stag is back in Newport Beach. 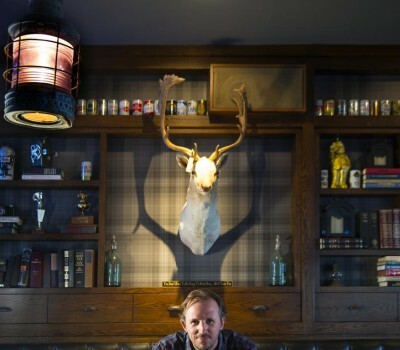 Nine years after a new owner renamed and redecorated the Stag Bar, that same man has renovated the venue in the style of its early days and is set to reopen its doors in early December.